Thank you for visiting Lambda Chi Alpha - Beta Alpha Zeta. calender for the semester, and a list of ways for you to contact us. Please scroll down for rush info! YOU SHOULD BE A LAMBDA CHI! 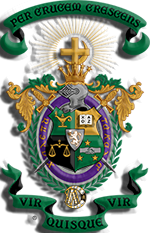 In 1972, Lambda Chi Alpha became the first fraternity to abolish pledgeship and replaced it with Associate Membership. Lambda Chi Alpha believes in the value of every human being. This is reflected in our open motto, Vir Quisque Vir, translated means Every Man a Man. Associate Membership grants new members full rights of membership, including the right to vote and hold office. We believe that the Associate Member program create a sense of equality amongst its members which allows all members to become better men. Our fraternity’s values (which were adopted from the United States Military Academy, also known as West Point or U.S. Army) are Loyalty, Duty, Respect, Service & Stewardship, Honor, Integrity, and Personal Courage, which come together to form the acronym LDRSHIP. Lambda Chi Alpha is in search of the type of student who already exemplifies these traits and is continually working to better himself as a leader and a man. Lambda Chi Alpha is now a proud partner with Feeding America. Feeding America provided emergency food assistance to more than 37 million Americans in fiscal year 2012 and is ranked #4 in The 100 Largest U.S. Charities by Forbes. In most fraternities, the education process stops after a member is initiated. However, Lambda Chi Alpha has created the Inner Circle Journey, which allows Initiated Brothers to continue their growth through different experiences, reflections, and Ritualistic teachings. In Lambda Chi Alpha you will always be encouraged to grow and receive more out of your fraternity experience. 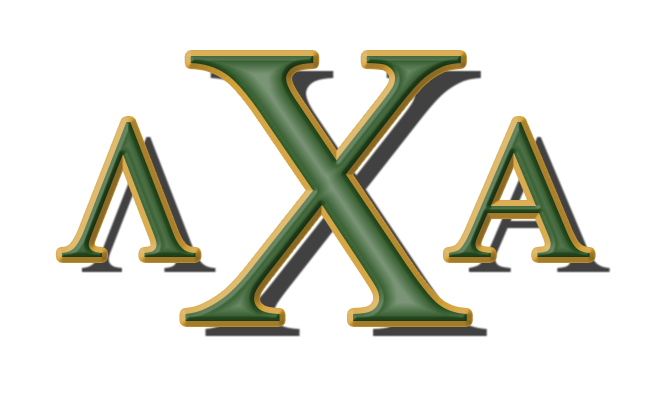 Lambda Chi Alpha takes a progressive approach to Pre-Initiation and incorporating values based ritualism. We believe that ritualism has served an important purpose throughout history. Rituals help bring people together and to remind us all of important truths. Based on Christian Principles, our Initiation Ritual and Exoteric Mysteries are sure to offer you a fond appreciation of ritualism. This ritualism will help you see the strengths of a brotherhood when its at its highest and can help you understand more about yourself.